Elegant, alluring and bold. It’s been nearly ten years since Carey Mulligan’s stunning breakthrough role in the acclaimed independent film, An Education which gained her an Oscar nomination for Best Leading Actress. Despite her initial rejection from three drama schools, she’s gone on to become one of the most versatile actresses working today, exuding star quality talent fuelled by a determination to make unique choices. She once said in an interview that she will only take a job if she ‘can’t bare the idea of anyone else playing that character’. Given her past performances, it’s clear her instinct was right, as it’s hard to imagine anyone else portraying the roles she inhabits. She possesses the rare ability to convey so much emotion in a single look, arguably a modern-day equivalent of a silent Greta Garbo. She also parallels Garbo through her persistence in guarding her personal life, maintaining an aura of mystery that allows her to shape-shift into any figure, an impressive range sparking from every fibre. However, what makes her one of my favourite actresses is the variety of women she’s portrayed, seeking roles that roam in-between the two vague stereotypes often assigned to women in film as being either ‘the heroine’ or ‘the victim’. 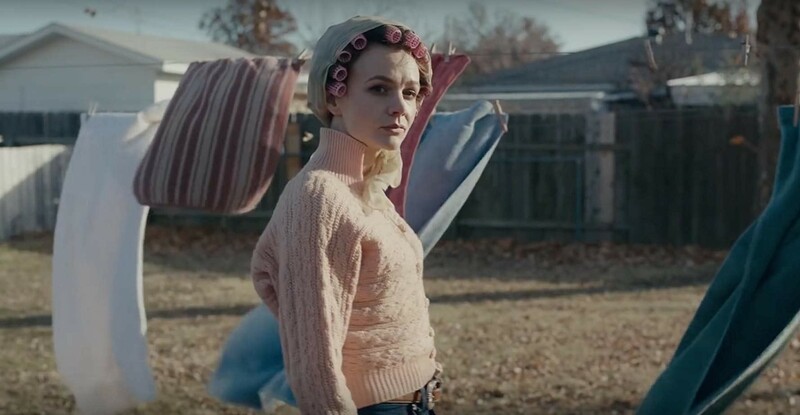 Most recently, she’s taken to the screen in Paul Dano’s directorial debut, Wildlife, playing a free-spirited young mother suppressed by 1950s suburban life. The story follows her and her son’s struggle to fend for themselves after being abandoned by husband/ father (Jake Gyllenhall) when he leaves to fight wildfires in the Montana Mountains. It’s perhaps her most complex role yet, displaying the qualities of a devoted mother entwined with an energetic longing and love of life. However, we’re shown over the course of the film that it’s difficult for these traits to exist harmoniously, particularly in constrictive small-town America. She’s both warm and selfish, ambitious and flaky and overall, admirable and strong. I use the word ‘and’ rather than ‘however’ here because the clashing of attributes and foibles should always be celebrated in the depiction of female characters, there being no contradiction in a woman who can be both invincible and vulnerable. Mulligan expresses this herself in a recent interview when speaking of her character, ‘all her flaws are on parade (…) it’s so rare to see a woman allowed to fail onscreen – women are sort of censored, whereas men can be celebrated in spite of all their flaws’. She goes onto explain that in regard to previous roles, she’s been surprised that certain scenes that depict her character behaving questionably have been cut from the final edit. Upon confronting executives as to why this decision was made, she was greeted with the response “‘well the audience don’t really like it when she’s not very nice” … how tame. Mulligan has portrayed a wide variety of different women, though it would be wrong to define each character as a certain ‘type’ as all possess traits that would counter the label pasted on them. 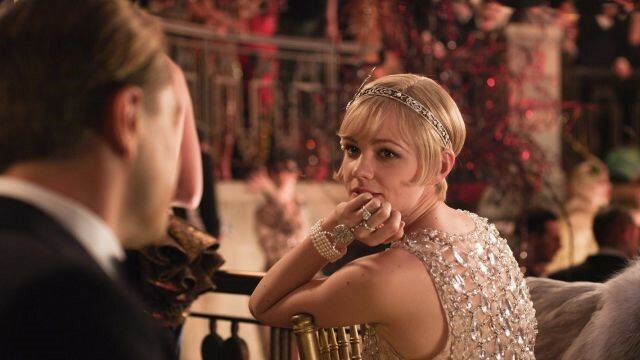 For example, in Baz Luhrmann’s opulent adaptation of The Great Gatsby (2013), Mulligan plays the glamorous ‘romantic heroine’ Daisy Buchanan. She embarks on an affair with former love-interest Jay Gatsby and it appears, for a time, that she will renounce luxury and ‘old money’ social rank to be with him. However, doubt slowly clouds her and we see that she truly is the “beautiful little fool” she cites herself to be in the beginning of the film. Although Daisy is thought to ultimately be a rather cowardly and shallow character, she arguably possesses a subtle maturity and poignant perceptiveness of herself. While delivering the iconic line mentioned above, Mulligan portrays such a melancholic certainty in her performance, presenting Daisy as a tragic figure rather than a selfish, secret-antagonist, “she’s just whipped cream. She’s light and fluffy with no substance, and she knows it, and that’s her tragedy”. Another role Mulligan shines in is playing ‘Kathy’ in the gloomy and almost painfully beautiful film, Never Let Me Go (2010). It’s a tale that explores an unsettling alternate reality in which humans are cloned in order to be harvested for their vital organs. Mulligan portrays one of the three clones the story centres on (the others being played by Keira Knightley and Andrew Garfield), exploring the tragic love triangle that develops between them. Kathy is rather distant and reserved despite her selflessness and compulsion to put others first, often at the expense of her own happiness. Mulligan balances Kathy’s virtues and flaws perfectly, making for a truly moving performance as you can see her internal struggle building over time as she remains passive in not telling Tommy how much she loves him. Simultaneously you can see her emotions towards sly and insecure Ruth (Knightley) in combat, wrestling between sisterly-love for her while also maintaining deep-rooted, and ultimately incurable resentment. There is a sequence toward the end of the film that secured Mulligan as one of my favourite actresses, this being the first lead role I’d seen her play. As she reflects on her life, staring out into an open field, she cries and you can see the complex turmoil she’s experienced purely through her facial expression; the regret, desperation and utter hopelessness. Despite the narration over this scene, it’s hardly needed as you can read everything from Mulligan’s silence and the emotion in her eyes. She refuses to portray Kathy as completely virtuous or cold, rather amalgamating the events of Kathy’s life to shape her and ultimately how this forces her to change. Her performance proves that circumstances and choices, as in life, affect a character’s trajectory in film, not necessarily the labels assigned to them. Other brilliant films of Mulligan’s that display such brilliant complexities are her spellbinding performances in Shame (2011), Inside Llewyn Davis (2013), Suffragette (2015) and Mudbound (2017). However, to examine all of these in detail would take the form of an extensive thesis which I’m now very tempted to write. I adore her. She’s all at once charismatic and subtle, charming and commanding of every scene she’s in – she’s the next Julie Christie. She’s a fascinating actress because her roles are chosen so selectively, all her characters being unique to one another but overlapping in Mulligan’s skill of seeking out and portraying detailed, fully rounded women. I admire her fierce support of women being taken seriously in the film industry – she interestingly said that early in her career she put her treatment by men in the business down to her being young and inexperienced but grew to realise it was because of her gender that she felt her voice wasn’t as important. I’ve experienced this in my life too, and justified it in the same way, although now can now truly see when sexist prejudice rears its head. Women in film have so much to say and Carey Mulligan is one of many. Here’s hoping she gains a BAFTA and Oscar nomination next January for her spectacular performance in Wildlife, the most recent gem to add to such an inspiring career. 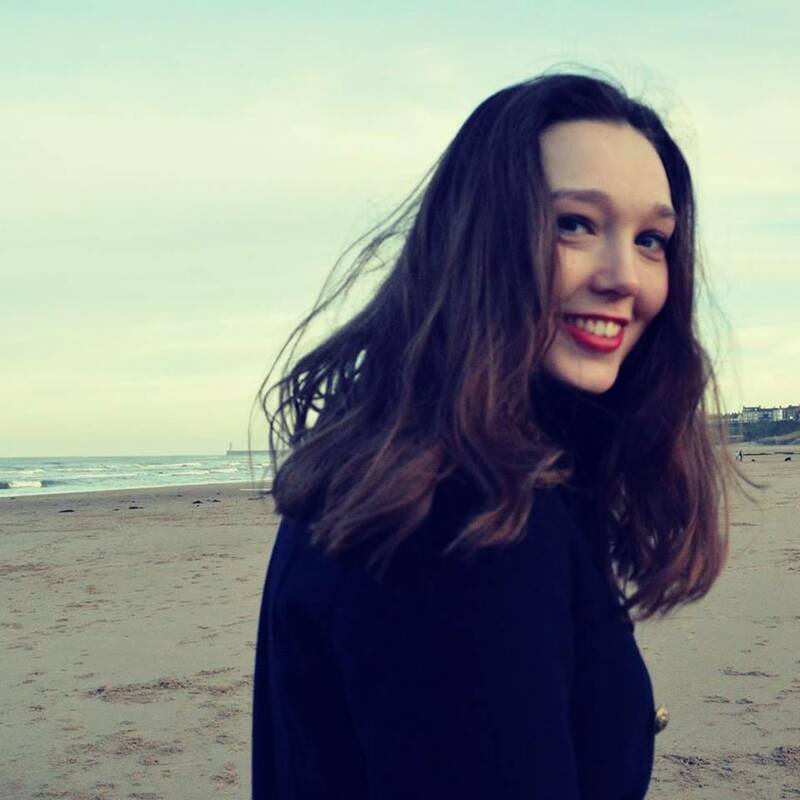 Angel Lloyd graduated from University of York in 2018 with a degree in Theatre: Writing, Directing and Performance. Admittedly always felt like a traitor as film stole my heart long ago. Wish and hope to become a screenwriter/playwright. Graduated from BFI Scriptwriting Academy in 2015 and Northern Stars Documentary Academy in 2014. Much love and adoration for Carrie Fisher, Julie Taymor and Andrea Arnold. Soft spot for Baz Luhrmann glamour and Tim Burton wackiness. Favourite films include Withnail and I, Edward Scissorhands, Nowhere Boy and Moulin Rouge.